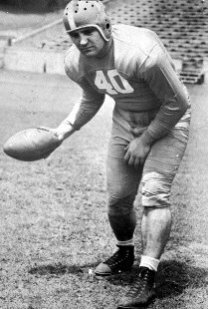 Lloyd (Bronco) Reese played college ball at Tennessee and then a short stint with the Chicago Bears in 1946. 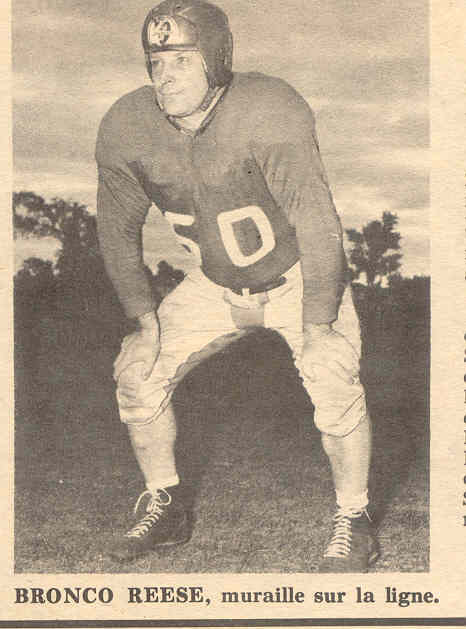 Reese joined the Montreal Alouettes as a fullback and linebacker for two seasons in 1948 and 1949, winning the Grey Cup with the Larks in 1949. Reese, unfotunately did not play in the Grey Cup as two of the Alouette's seven imports had to sit out the game to conform to the Canadian Rugby Union (CRU) rules. Lloyd Reese passed away on October 28, 1981. Note: Some sources report Reese's dae of birth as July 17, 1920 instead of June 17, 1920. Most sources, including thhe NFL link (above), however, and Canadian Professional Football by Bob Gill and Tod Maher report it as June 17. No other stats are available for those years.